Exciting news for casual and serious gamers: A new game developed by some of the folks behind the popular Halo series of science-fiction action video games will be released next week for Apple’s iPad. We heard reports regarding this game as early as May of this year when it was found that Bungie had filed for a trademark for “Crimson” with relation to ‘a computer game software for use on mobile and cellular phones’. Developed by the recently set up Bungie Aerospace – which is a small developer studio dedicated to help independent gamers launch their mobile games. It is basically the iOS branch of Bungie, Inc. which itself is a multi-platform game development studio. The game we’re talking about today is Bungie Aerospace’s first title. 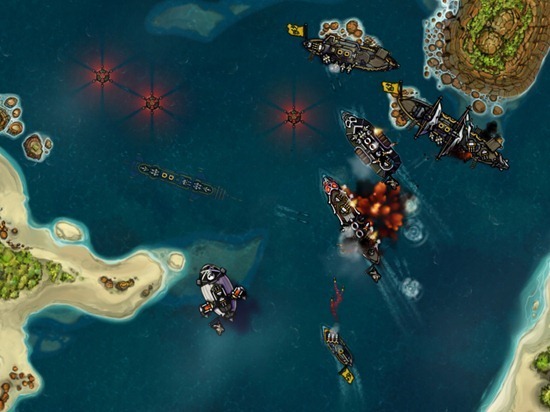 The game is titled Crimson: Steam Pirates. 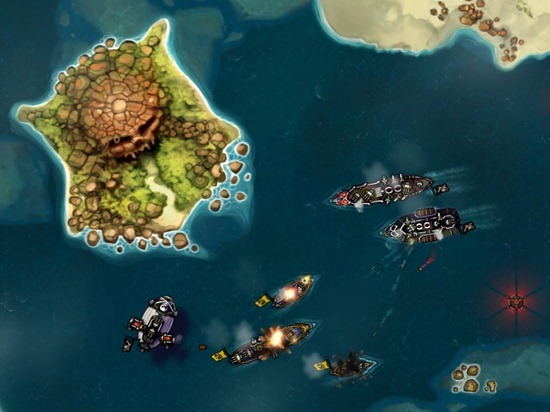 It is of the turn-based strategy and action type in which gamers will be commanding their fleet of ships, submarines, airships and crew of 20 different types to fight against enemy fleets. The game also comes with multiplayer, though unfortunately, this multiplayer is limited to pass-and-play and not the real-time multiplayer sort – which we hope will be included in the future. Crimson: Steam Pirates will be an episode-based game and there will be a total of 8 episodes (or voyages) with the first one being released next week. It will also come with Bungie’s legendary stats-tracking system as well as integration with Facebook. Bungie.net Stats, Leaderboards, and Facebook integration. 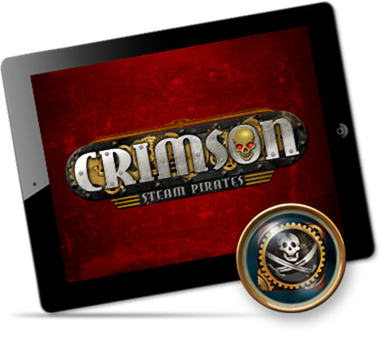 Crimson: Steam Pirates will be launched on September 1st on the iPad. It will be available as a free download from the iTunes App Store, though future episodes of the game will cost $1.99 each. We will inform our dear readers of the game’s release as soon as it is available on the App Store. so stay tuned!